There is life – and livelihood – after retirement. For Valeriano and Ester Hernandez, life as civil servants with agrarian reform is now a thing of the past. The couple now reap the fruits of their labour in government service and enjoy the quiet life at their homestead just ten minutes drive from the heart of Lipa City in Batangas. The homestead is roughly a hectare in size; and its rustic ambiance is almost a contradiction to the city’s dizzying urbanisation in recent years. There, it is almost difficult to imagine that there are large malls, vehicles gridlocked in urban traffic and a growing concrete jungle just a quarter of an hour’s drive away. At night, the crickets still sing while fireflies glow in the dark like mystical creatures from an ethereal world. When it drizzles, the frogs loudly call in monotone to seek their mates. The air remains fresh and cool, an instant throwback to an era when the city was really more rural than urban in nature and when its citizens proudly lived from off the land. Ester Hernandez also keeps a small garden of ornamental plants to the side of the house more as a hobby than anything else. The food crops yielded by the suburban homestead invariably end up as food for the stomach; but the vivid colours of her floral garden also provide feasts for the eyes and, therefore, food for the soul. This is something that the Hernandez couple, along with two bachelor sons who still live with them, have not forgotten. That is, that the land handsomely pays back to those who spare a thought to taking care of it. 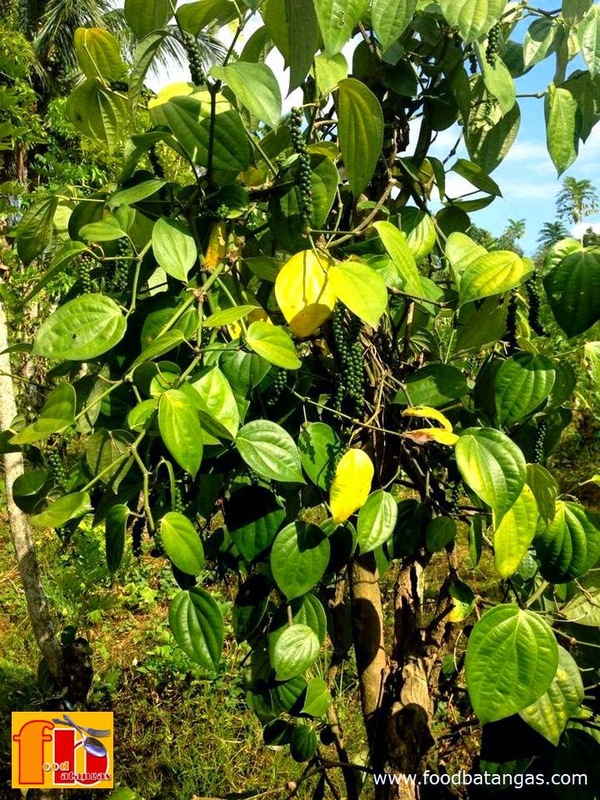 In the Hernandezes’ case, the suburban homestead has been planted mostly with black pepper vines; in the backyard, really, because the front of the property is the family’s well-maintained home. The black pepper is not a fussy plant to maintain. The vines can be very well left on their own save for the occasional weeding and clearing of the vicinity of the host trees especially during the rainy season when the brush is quick to grow. 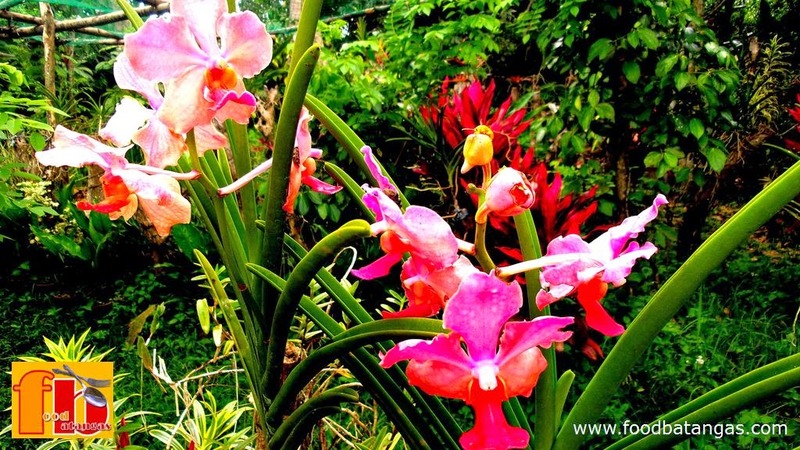 It is only during the parched months of the summer when they require particular attention because, like many tropical plants, they need to be watered to survive. Eugene, the elder son who recently gave up managing a pizza joint and who has fallen in love with the land, more than willingly obliges. Each vine starts to bear fruit at the soonest after three years; and can be productive for more than ten years. One hectare may be planted with as many as four thousand vines. Not all vines are of the same age; so when some vines die off, these are quickly replaced so that the production cycle is maintained. 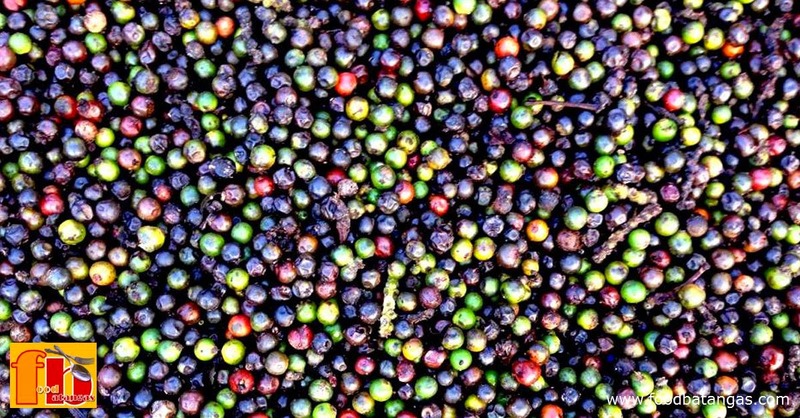 At optimal production, a hectare of black pepper can yield up to a ton of peppercorn. 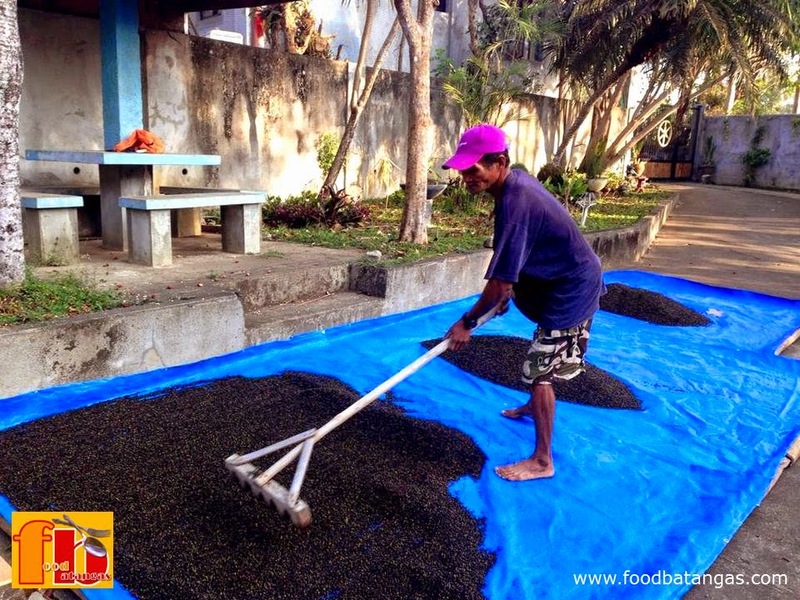 Upon harvest, the peppercorn is cleaned and sorted out before being laid out in the open to dry under the sun. As spice or seasoning, whether ground or not, black pepper is ubiquitous in every household. Middlemen purchase the peppercorn for as low as PHP 300 per kilo during the hot summer months which are also considered the harvest season; or for as high as PHP 350 during off-season months when production everywhere expectedly tapers down. 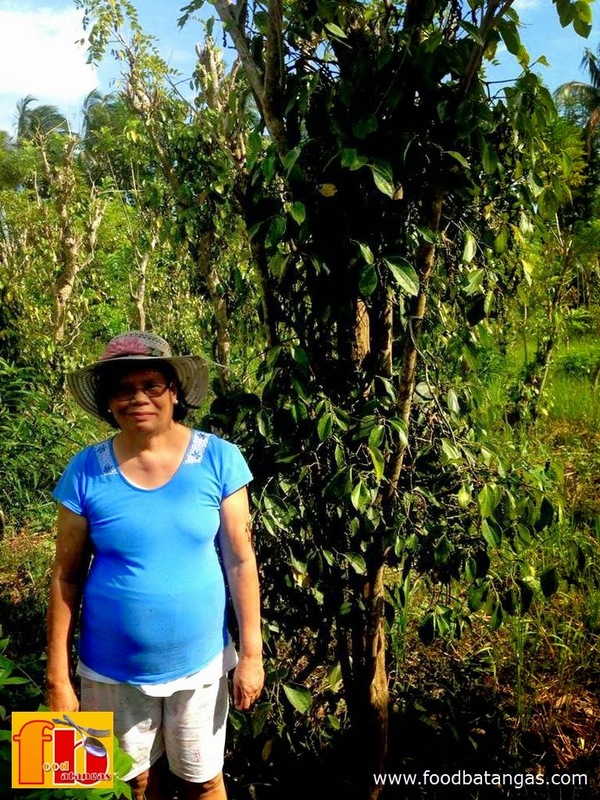 While black pepper vines take up most of the space inside the property, the Hernandezes have also started to diversify their crop by having vacant areas planted with calamansî, otherwise known as the calamonding or the Philippine lime. Calamansî as a product has multiple uses. It can be blended with soy or fish sauce and used as a dip for a variety or dishes or sprinkled upon others – such as noodles cooked Chinese style – to enhance the flavours. Recently, some enterprising companies have also started bottling its juice as fruit concentrate. At the Hernandez homestead, there are currently just 60 calamansî trees planted; and not all of them are already productive. Each tree takes up to four years to start bearing fruits; and another year before it becomes capable of full production. The family made its first decent-sized harvest during the previous summer and expects the yield to gradually increase in the coming years as the trees mature. Because of the city’s continuing love affair with the lomi, a locally invented variant of the Chinese lo mien that is as much food as it is a reason to socialise with family and friends, finding buyers for the calamansî should not be problematical at all. Vacant nooks and crannies of the property have also been planted with latundan, saba and lacatan, three varieties of the Philippine banana. The plants have begun to yield as many as two clusters of fruits each month, but these are more just for the family’s consumption than for commercial profit. Just to show that those who know how to take care of the land do indeed reap its fruits, because the land has and will always know how to give back to those who take care of it.